Eko, a Bangkok-based technology provider of a workplace messaging application for enterprise collaboration and communications has secured a series B funding of $20m from Sinar Mas Digital Ventures (SMDV), a Jakarta-based technology investment unit. The existing investors in the startup include RedBeat Ventures (a unit of AirAsia Group), East Ventures and Gobi Partners who have actively participated in this latest round of funding. 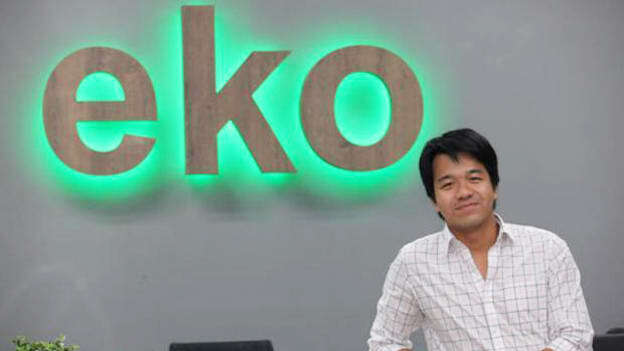 Eko is the brainchild of Korawad Chearavanont (son of Supachai Chearavanont, chairman of the Executive Committee of the True Corporation, and great-grandson of Dhanin Chearavanont, the founder of Charoen Pokphand Group, Thailand’s largest agricultural business) and founded the startup in 2012 with the goal to empower people with the digital tools they need to get work done in a faster and more efficient manner while driving personal productivity and efficiency enabling individual flexibility and happiness. The platform provides users All-in-One solution, from communications, business process management (workflows), project management and knowledge management. “The system is unified, fluent and extremely flexible,” shares the 24-year-old founder and CEO, Korawad Chearavanont. Korawad laid the foundation of the startup while he was still a teenager. He created the platform as a student group messaging service but eventually realized that the value was in contextualizing it around what a company needs. Korawad dropped out of Columbia University in his second year after securing $5.7 million in a Series A round led by Shanghai-based Gobi Partners. Korawad is highly vocal about pinning Eko against any solutions available in the market and says that the core differentiating point of Eko lies in its capacity to adapt to the customer’s needs. He mentions, “The challenge with traditional software is that customers need to adapt to the product; we believe that products need to adapt to customer’s needs.” Everything in Eko is highly flexible and highly scalable. “Sales review cycles may be weekly, while other department may be monthly or quarterly, some roles you may need 4 people to review, some just 2 people. We have built the product to cater to that level of flexibility,” Korawad reinforces. Eko currently comprises over 500,000 paid subscribers and has grandiose expectations to meet the 2 million mark by next year end. The focus area for Korward is now to use the funding to expand into Europe and North America, Korawad adds. The competition is fierce in the workplace collaboration vertical, with Slack, Asana by Microsoft, Workplace by Facebook and Alibaba-backed Dingtalk among others. The overall market for enterprise and collaboration platforms is predicted to meet the $31 billion mark by 2022. Another research reveals that the enterprise collaboration market is expected to grow from USD 34.57 billion in 2018 to USD 59.86 billion by 2023 at a CAGR of 11.6 percent from 2018 to 2023. This growth is being fundamentally driven by the widespread usage of social networking websites and increasing usage of mobile devices for collaboration. Reports also reveal that Asia Pacific enterprise collaboration market is projected to grow at the highest CAGR from 2018 to 2023 as there is a rampant growing need for robust collaboration and enhanced decision-making in organizations. Markets in Malaysia, Japan, and Singapore are heavily investing in information technology for seizing digital opportunities from the market and are thus focusing on using enterprise collaboration solutions to cater to various industries such as e-commerce in the region. What is also worth noting is that 70 percent of employees use unsecured smartphones for business purposes and 40 percent say that they perform work-related activities on a smartphone daily putting your company data at risk. Eko bridges the gap between non-desk employees and management, and enables companies to simplify and centralize their business’s internal communications. Eko bridges the gap between non-desk employees and management, and enables companies to simplify and centralize their business’s internal communications.